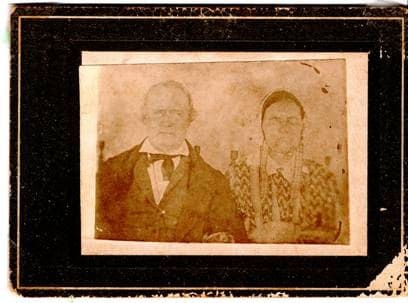 Ramona Kennedy loaned a copy of her family’s picture of Henry Dingler, son of Johannes and Nancy Paschall Dingler. This is not the oldest Dingler picture, but it is a portrait of the oldest generation of Dingler that we have. Thank you, Ramona! Portrait of Henry Dingler, son of Johannes Dingler and Nancy Paschall. Provided by Ramona Kennedy.